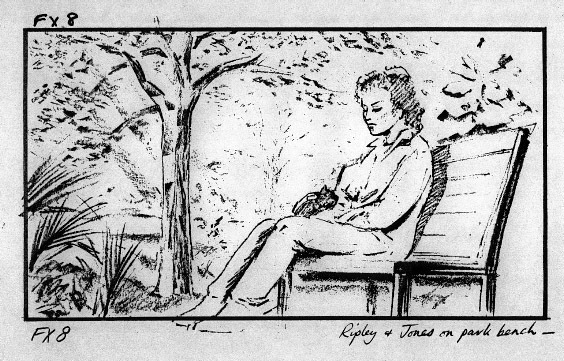 This sketch shows a figure (Ripley) in a reclined position, along with a tree and a plant on the left. 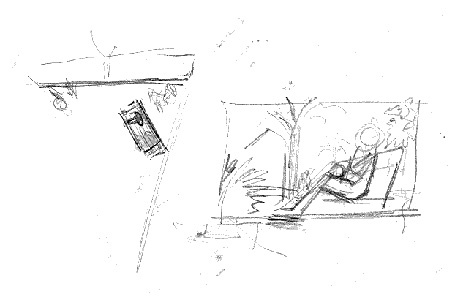 I had originally thought the sketch on the left hand side of this image to be of the A.P.C., it is actually a birds-eye view of the same scene (FX8). Courtesy Harry Oakes. Unknown artist (either Dear, Rich or Piotrowski).